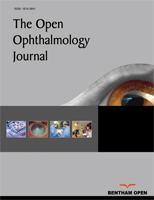 The study aimed to evaluate iris thickness changes in patients with Primary Open Angle Glaucoma (POAG) or Ocular Hypertension (OHT) under treatment with Prostaglandin Analogues (PG). Primary outcome measures were iris thickness at the region of Dilator Muscle Region (DMR) and Sphincter Muscle Region (SMR). DMR/SMR ratio was also evaluated. The secondary outcome was the correlation between PG treatment length and iris parameters. The charts of patients with POAG or OHT who underwent Visante OCT were retrospectively selected. The patients were divided in a group using PG for at least 6 months and a group using hypotensive drops not including PG or alpha-adrenergic agonists. A third group included healthy subjects. 98 subjects were selected. Patients with POAG or OHT using PG eyedrops showed a significant iris thickness reduction at DMR compared to healthy subjects and to patients using hypotensive eyedrops not containing PG. Significantly higher SMR thickness values were found in PG group compared to both control groups. DMR/SMR ratio significantly reduced in PG group. No correlation was found between PG treatment length and iris parameters. The present data indicate that PG treatment induced DMR thickness reduction and an increase in SMR thickness. These changes were not related to the duration of PG exposure. Keywords: Prostaglandin analogues, Ocular Hypertension, Glaucoma, Visante OCT, Iris thickness, Dilator and sphincter muscle region..
© 2018 Mancino et al.